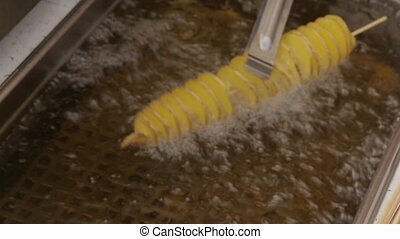 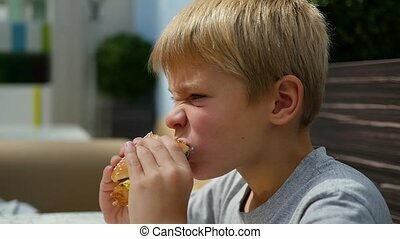 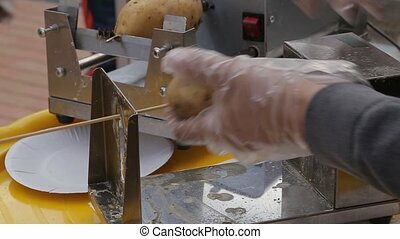 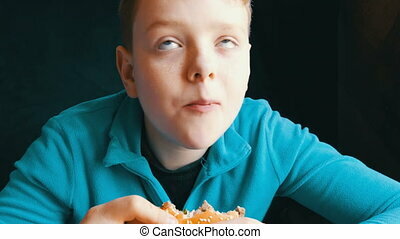 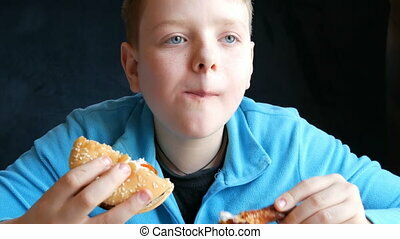 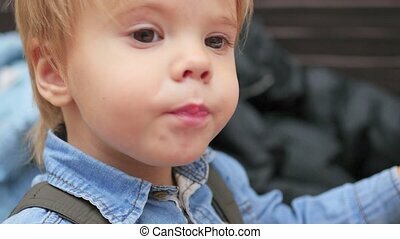 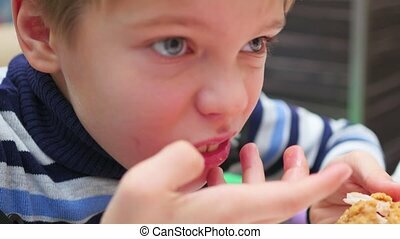 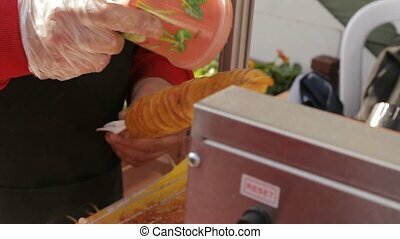 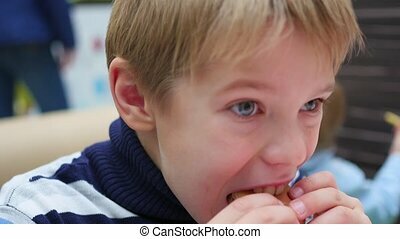 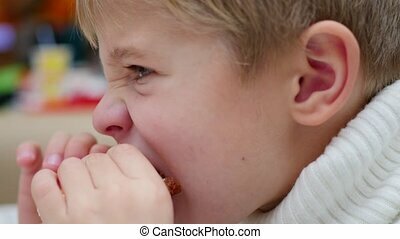 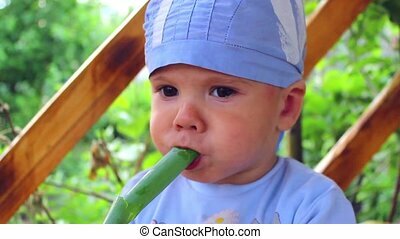 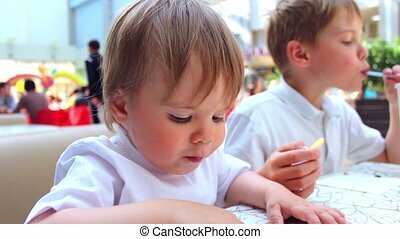 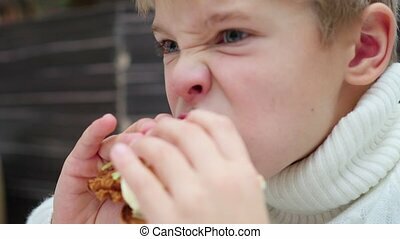 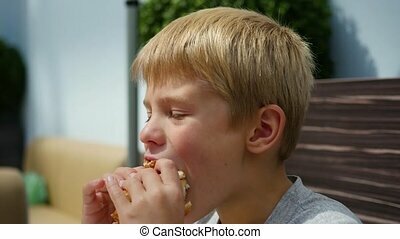 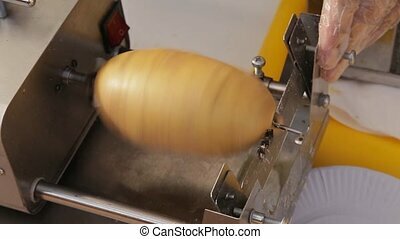 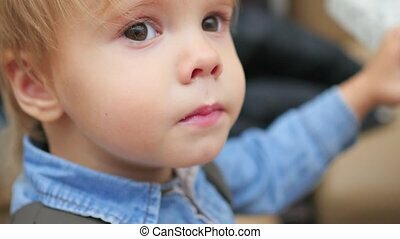 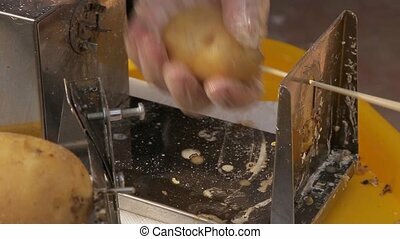 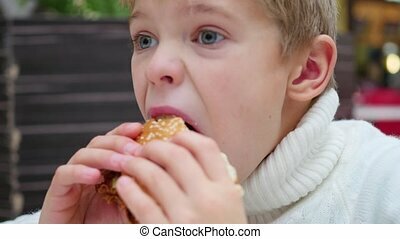 The kid eats a fried potato at a fast food restaurant closeup. 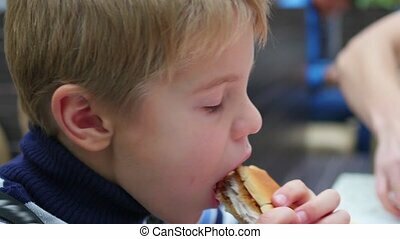 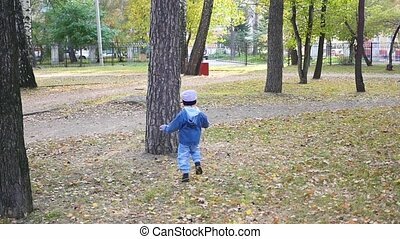 The child eats a fried potato at a fast food restaurant. 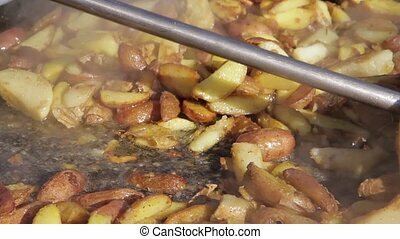 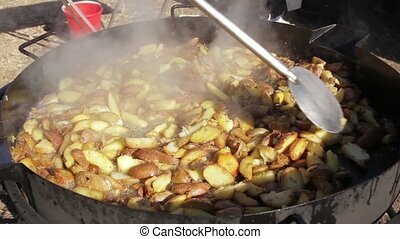 Potato are fried in a cauldron with boiling oil for sale at the night food market. 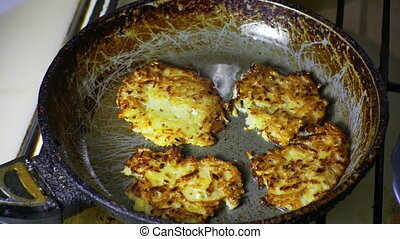 Potato Pancakes Fried in a Pan. 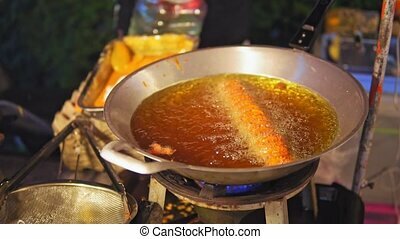 Woman preparing food at home kitchen stove. 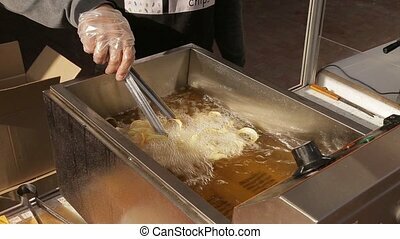 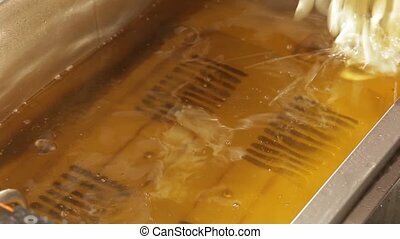 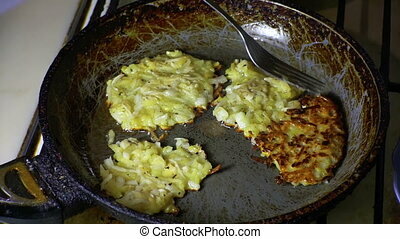 The cook moving potato pancakes in warm oil during frying in pan.